Ok, that title is a lie… getting out of bed just to go run is still bad. My comforter can be heard over the air conditioning saying “You can run tonight… I’m nice and warm… Wouldn’t another hour of laying in bed and dozing be perfect?” Then I glance at my wife, laying there peacefully asleep…. and face the further urge to stay in bed. But I didn’t. I managed to get out of bed. I will admit that I ended up waiting until the last possible moment that I could – which would still give me (just) enough time to do the five-mile run on the schedule. I headed out the door – still bleary eyed from my wonderful bed. (Literally.. I headed out the door, started my Cardiotrainer, began running, and started rubbing my eyes because everything was all blurry!) As expected, I was still feeling the leg work out from Monday – but not as bad as I had feared. I headed up the slight hill to the local park and didn’t feel like my legs would fall off. This was a definite improvement from yesterday! I kept it at a fairly reasonable pace with my goal being to just have a pleasant run. I did run into an interesting situation though. Now, wouldn't this be awful creepy for the woman - if the guy was a stranger and no one else was around? At the 1.5 mile mark, I was coming up on a corner that I turn right as a woman ran across my path. This put me around 5 feet behind her running at a very similar pace. With a person in front of me, it was very easy to drop into the same pace, but I then had a thought. How creepy would it be for a woman, to have a complete stranger running at the same pace, only 5-10 feet behind you for an extended distance. I didn’t want her to worry I was a kidnapper, pervert or mass murderer, so I sped it up just a hair to get ahead of her and change the situation. My new quandary was deciding what speed to run at that point. If I dropped into the same pace as her, it was just as bad – but I couldn’t see her to judge my speed.. So I just kept it up at the faster rate. I ran until the 3 mile marker to turn around and head back, and never passed her again – so apparently she turned off. With my luck, she turned off on the next road and my quandary was a moot point the whole time. Am I the only one that thinks of these things while they run? Other than that, the run was pretty good. I was tired, but not crippling so. 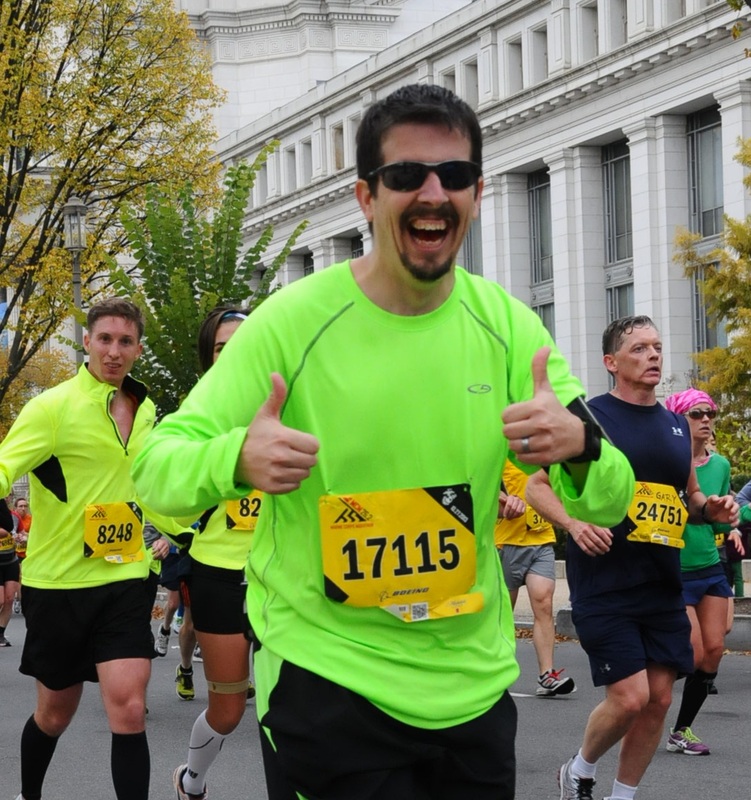 Mile 1: 9:33 – My Achilles tendon was tight enough for a bad limp, but loosened up before mile 2. There is a part of me that really wants to work speed work into my routine to get those mile splits down – I just have to keep reminding myself I am increasing distance for the Marathon, not training for a 5k. I did not lift last night, for one I was tired and didn’t want to (lame reason, I know) and secondly I forgot to bring clothes and was at work to late to pick them up on the way to swim practice. I’m just catching up with your blog after my holiday – nice going man! Just wanted to say that I definitely think about those pacing issues when I run! And I’m always the brilliant one who decides to speed up & pass to get rid of the awkwardness, then I find myself running at a completely unsustainable pace (for me) for far too long – HA!